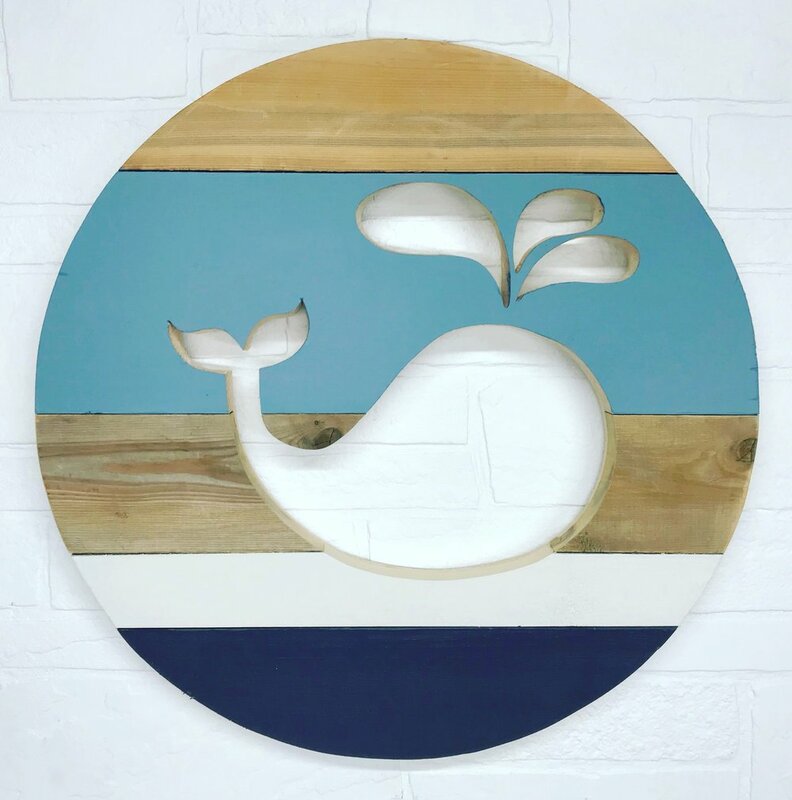 Welcome to Woodmont Circles, where we start with reclaimed wood to create unique wall art and other decorative home goods just for you. 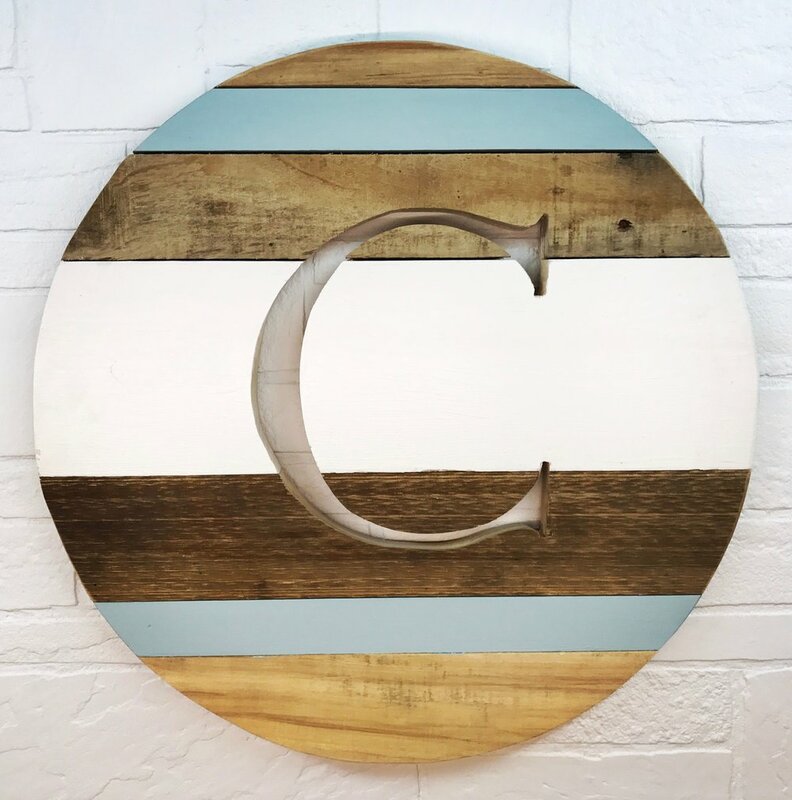 Personalize your space with custom designs from Woodmont Circles! Looking for a great gift idea? 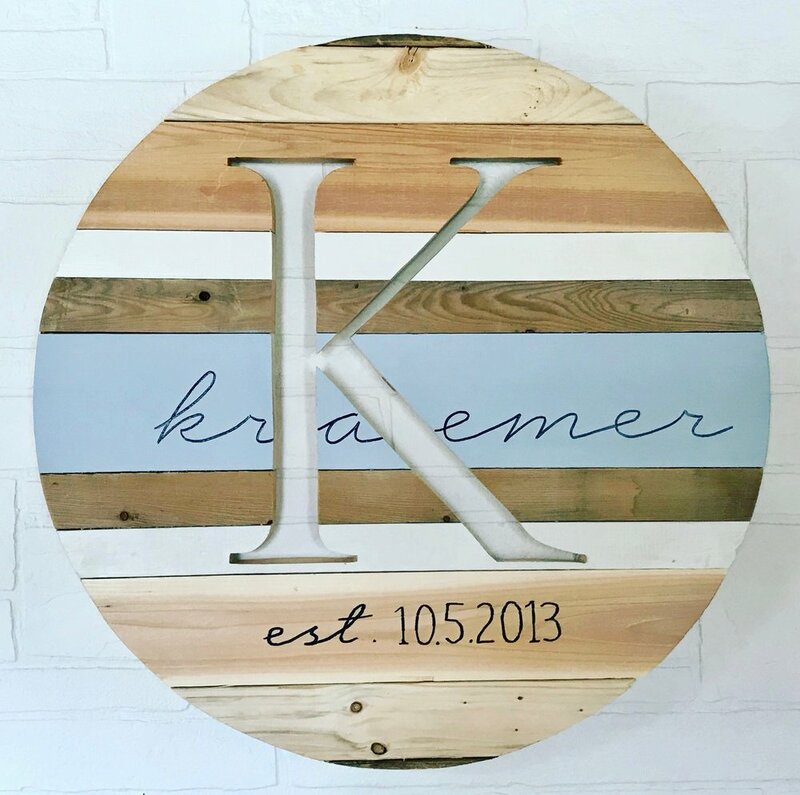 Give monogram circles for housewarming, new baby's nursery, engagements, weddings, anniversaries, street address markers, and more! 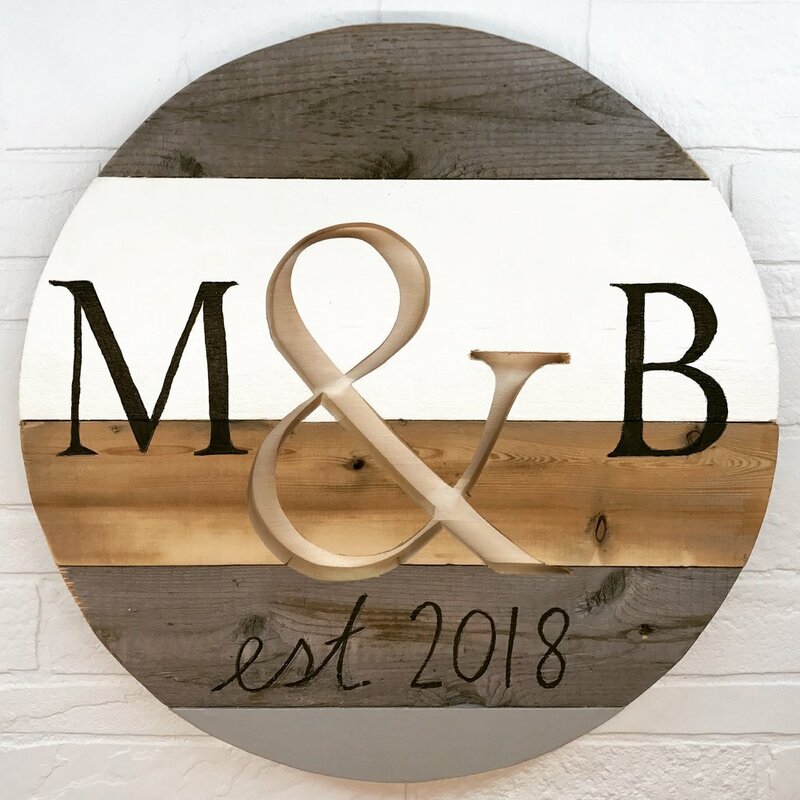 Scroll down this page to view available products and color options, and view our portfolio page to see some of the possibilities for personalizing your circle. 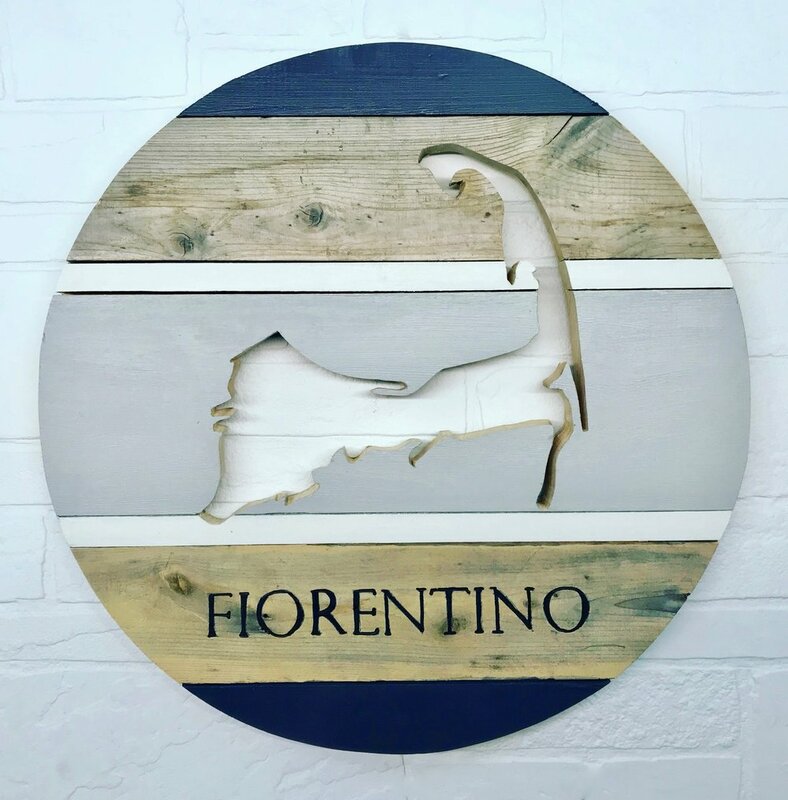 All circles are handmade and hand-cut in our woodshop in Weymouth, Massachusetts. First, decide what product you would like to order! 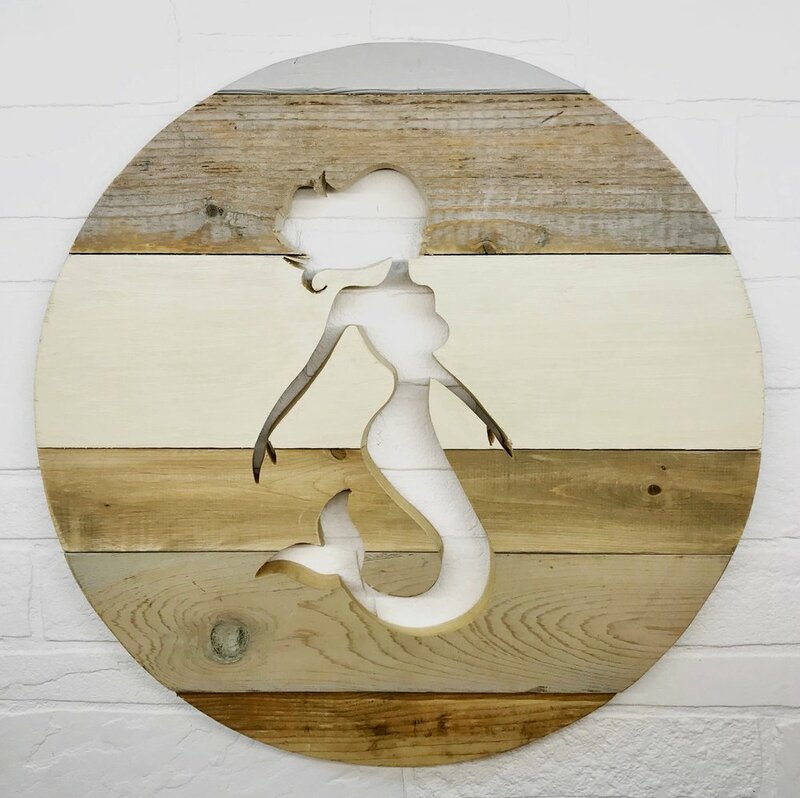 Choose from decorative circles, clocks, mirrors, lazy susans, and decorative walls. Next, choose your favorite colors using the carousel below. Arrow through the images and click a picture to see more circles in those particular colors. The chart below shows circle colors ordered to date. 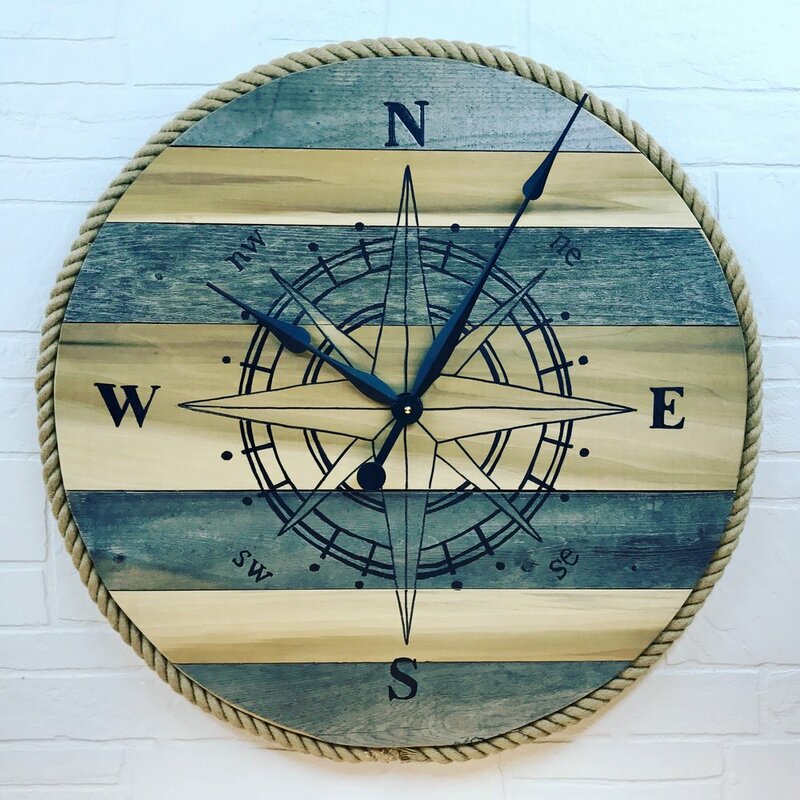 Driftwood and Lumberjack have been very popular, but over half of circles ordered were colors that are not in the top 8. Finally, measure your space, choose a size, decide on ideas for personalization, and click the button below to let us know what you want!